Patiala Babes is the new serial in November 2018. Patiala Babes is one of the most entertaining show of Zee TV. Patiala Babes Zee TV serial is one of the favourite show. Under very less time Patiala Babes TV serial gets so many followers. Patiala Babes is the beautiful story of a mother and a daughter. There is less change in the age of a mother and her daughter. Patiala Babes a beautiful story is edited by Sammer Gandhi. In this serial Patiala Babes, a daughter is full the dream of a mother. Patiala Babes written episode update 3rd December 2018, begins with Minnie tries to study in her room. Babita brings a favourite food for her. She walks to bed in a very angry mood. Babita pampers her and ask why did not she have food. Her mother said that you are angry with me so please ate the food. Minnie said that she does not want to have food. Babita asks not to get angry for small issues. Minnie said that she has exams and she has to revise the whole syllabus. Babita said that she knows she never sleeps during Minnie’s exam and never has food without her princess. Minnie said that she told papaji loves and cares for her, but he proved today that he does not love me. Babita said he does and will prove soon. Next morning, Minnie gets ready for school and sees that Ashok ordering to fix AC by evening. To know this Minnie feel so happy and realizes that her father also loves her too much. Lovely said her babes that room is getting AC. Minnie gets very happy and she touches Ashok’s feet. Ashok is surprised because of this incidence and asks what happened. Babita replies that she is going for the exam, so she was taking his blessings. Dadaji said that daughters never touch feet. Minnie said why should only boys get blessings, it is gender inequality. 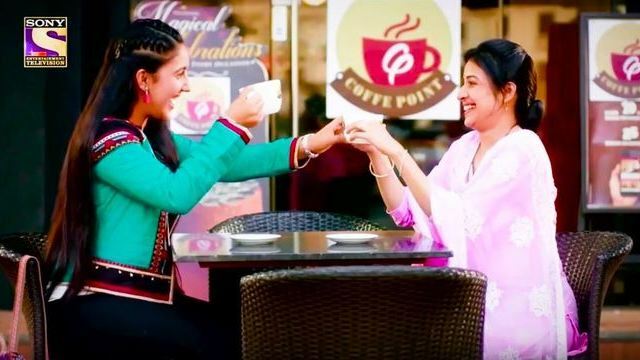 Upcoming of Zee TV serial Patiala Babes 4th December 2018: Meeta insists Ashok inform about her to his family. He over phone informs Lovely. Lovely nervously informs the family.